Understand the link between recreational drug use and mental illness. 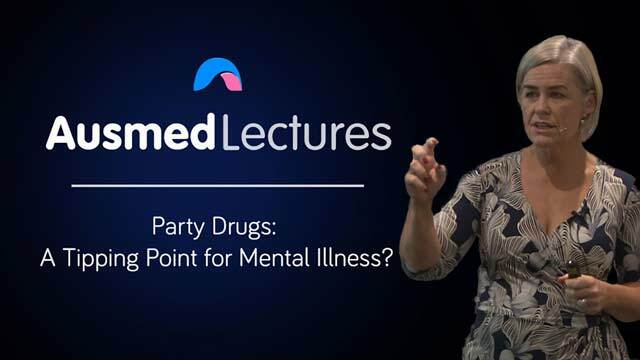 This session examines the limited evidence on questions like: can party drugs trigger psychosis? Will drug-use exacerbate existing mental illnesses? Are party drugs the new social lubricant? Dr Karen-Ann Clarke is a registered nurse and a specialised mental health nurse, with 30 years’ experience of working with individuals and families impacted by the experiences of mental illness. Using a feminist narrative methodology, her PhD research explored the way that women diagnosed with depression made decisions and meanings about receiving electroconvulsive therapy. As a lecturer in nursing at USC, Karen-Ann is responsible for the coordination of mental health curricula across multiple undergraduate and postgraduate programs. Teaching in excess of 900 undergraduate students each year, she is passionate about the value that immersive mental health simulation can bring to student’s learning and clinical skills, and the way that it can safely bring to life theoretical concepts related to mental health care. Karen-Ann currently supervises a number of honours, masters, and PhD students and is part of numerous research projects, involving visualisation and simulation, mental illness, suicide prevention, and the inclusion of people with lived experience of mental illness into the teaching and learning space. interesting topic ,i must admit i am see a lot more drug/mental health issues over the last few years its valuable to hear about new studies and research. Great insight into the young adult risk/ target group and their interactions with party drugs.